At Scaffolding Hire South Africa our directors and staff each have up to 45 years experience in the commercial scaffold and formwork business in South Africa and neighboring countries. Scaffolding hire is our business, from design to supply, installation and on site management of the scaffolding hire needs of each site, Scaffolding hire South Africa provide a complete turnkey service through our partnerships and preferred suppliers. 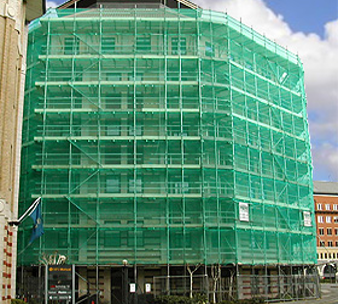 We provide a wide range of fixed scaffolding solutions from standard size fixed scaffold designs to complex systems including custom designed and implemented scaffold solutions. 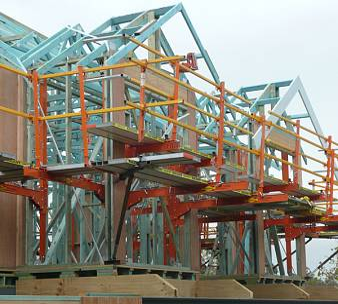 We offer a range of mobile scaffolding platforms at different heights on both long and short term hire options. 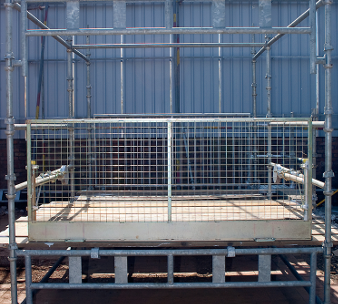 The mobile scaffolding platforms offer excellent access control. 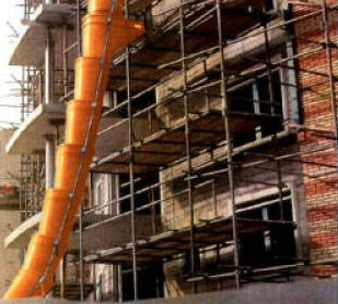 Many accidents occur on the edges of buildings that are not adequately secured. 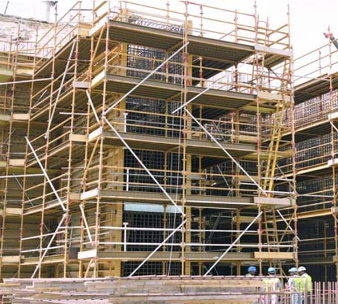 Our edge protection scaffolding offers workers and safety officers complete peace of mind on safety. Shade cloth is a vital part of the safety infrastructure on construction site where high winds are a common occurrence as well as providing an extra level of safety for all workers. 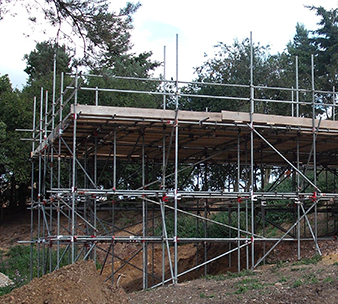 Typically, a birdcage scaffold will have a boarded top as the access platform and can span great lengths and heights. The rigid uniform structure is very secure and offers top class safety. 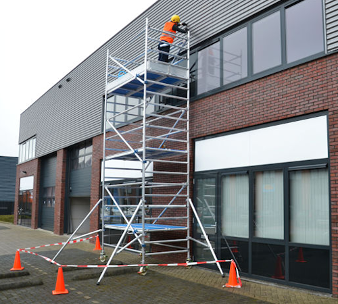 Loading bay scaffold and ancillary safety gates, including ladder locks and safety handrails are vital parts of the scaffolding safety environment for any construction site or mining application. 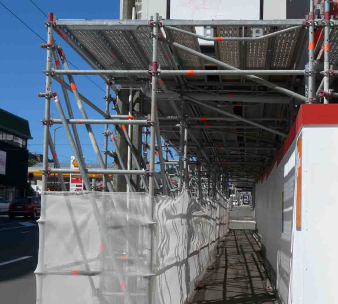 Public access or pedestrian gantry scaffolding is designed to offer the public unhindered access eith under the main construction scaffold or overhead as a gantry bridge for example. Demolition chutes or rubble removal chutes offer an easy and quick route for rubble which can terminate directly into skips, trucks or piles of rubble for later removal by other transport.